Christmas freebie alert! I have several to share with you today! 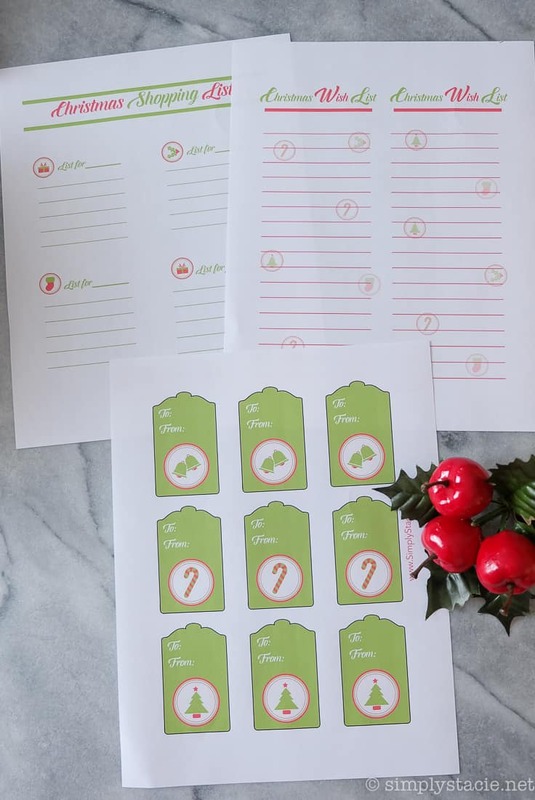 I’ve got festive Christmas printables including a Christmas Wish List, Gift Tags and Shopping List that you can download and print off at home. I’ve given my kids and John the wish list to fill out. The kids are fairly easy to buy for. John, on the other hand, not so much. I always struggle with purchasing gifts for him. He never tells me what he wants! Hopefully, he’ll fill out this list and be specific with items he wants this year. It would make my job a lot easier. The shopping list is a great way to organize who you have to buy for. I like setting up my list this way so I can buy an even amount of gifts for the kids. If I don’t write down what I’ve purchased, I’ll likely forget and over do it. I stopped purchasing gift tags a couple years ago and have been making my own. I used to use scraps of wrapping paper, but I much prefer the look of these printable gift tags. With all this printing I’m doing, one thing that will hinder my progress is running out of ink. I’m sure you’ve been there too. It’s late at night and you’re hard at work on your holiday preparations. You are about halfway done printing out the supplies you’ll need for your printable project when you realize you are completely out of ink. You check your supplies and discover you forgot to buy ink cartridges. Oops! Now what? You’ll have to wait till the morning to run to the store, but by then you’ll be frustrated because of the setback and lost your groove. Don’t let this happen to you! With an HP Instant Ink subscription, you will never run out of ink again. How awesome does that sound? To me, it sounds wonderful because there is nothing more annoying than running out of ink mid-printing! Your HP printer does all the work. It notifies HP automatically when you are running low on ink. New ink cartridges are shipped to you before you run out. It saves you having to run out to the store and it will also save you money! An HP Instant Ink subscription saves you 50% off the cost of HP Original Ink. The monthly plans vary depending on how much ink you typically use. The HP Instant Ink subscription plans start at $3.99/month for occasional printing (50 pages per month) and go up to $10.99/month for frequent printing (300 pages per month). The plan price is based on the number of pages you print and not the amount of ink you used. Included in the monthly cost is ink, shipping and ink cartridge recycling. 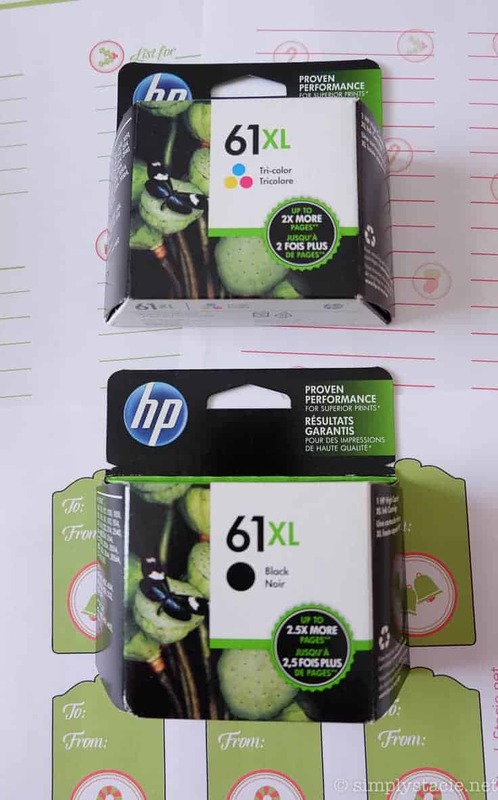 HP will send you pre-paid envelopes to return your used ink cartridges and HP Planet Partners will recycle them as part of the package. Learn more about the HP Instant Ink subscription and consider buying one for your family to use with your HP printer. I think it’s a fantastic idea to save time and stress! 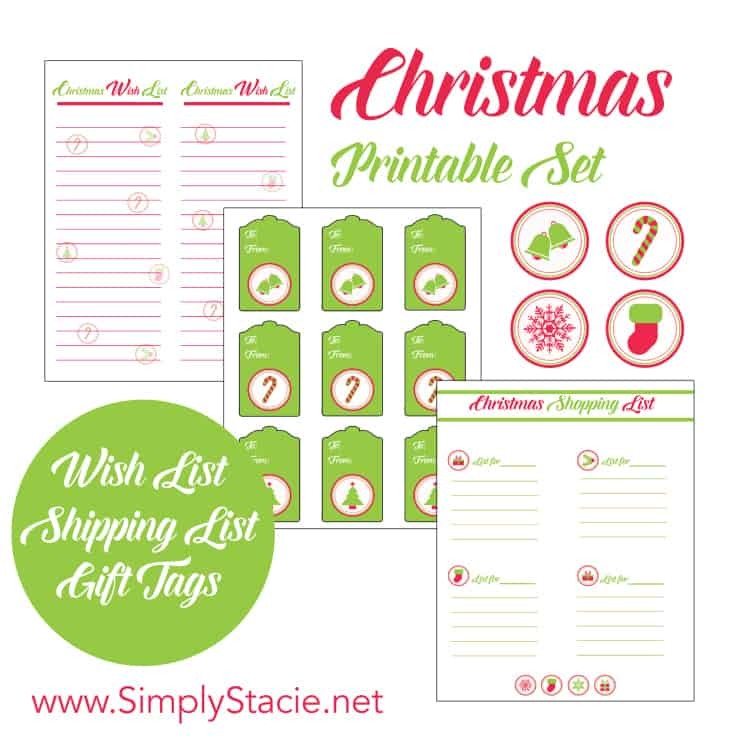 Download these free Christmas printables and print out at home on your computer. Feel free to share with your friends and family too! Make sure to print off my 25 Days of Christmas Traditions and enter my giveaway for a HP ENVY 7640 e-All-in-One printer, paper and an HP Instant Ink subscription! Disclosure: HP products mentioned in this post were supplied by HP Canada. All opinions expressed are my own. thesea re VERY nice, thanks or sharing! So cute ones, love the wish list! Those are super cute tags! I’m slowly working through the huge stash of them that we have and then I’m never ever going to buy any more! I love them, thank you for sharing! 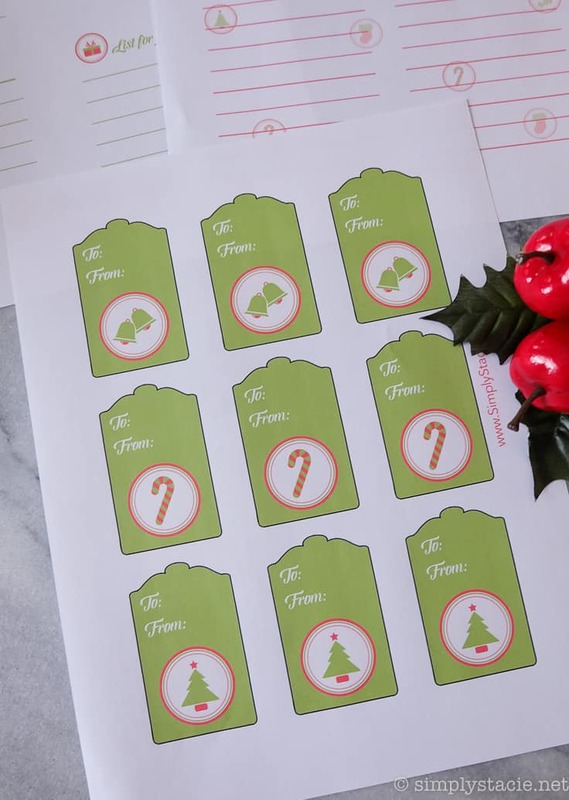 I absolutely adore these Christmas printables. Thanks for sharing! They will be perfect to use on my packages of Christmas cookies I share with my friends. Cute printables. Thanks for sharing them.